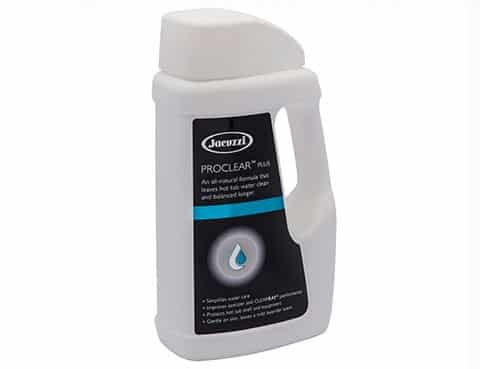 PROCLEAR™ PLUS will maximize sanitizer performance to help you achieve the clearest hot tub water. It is a gentle water enhancer that attacks blockage and buildup in your plumbing, resulting in improved sanitizer performance and simplified water care, and keeping your equipment running at peak performance longer. The latest addition to our water management system also has a soft, lavender scent and no strong chemical odor.